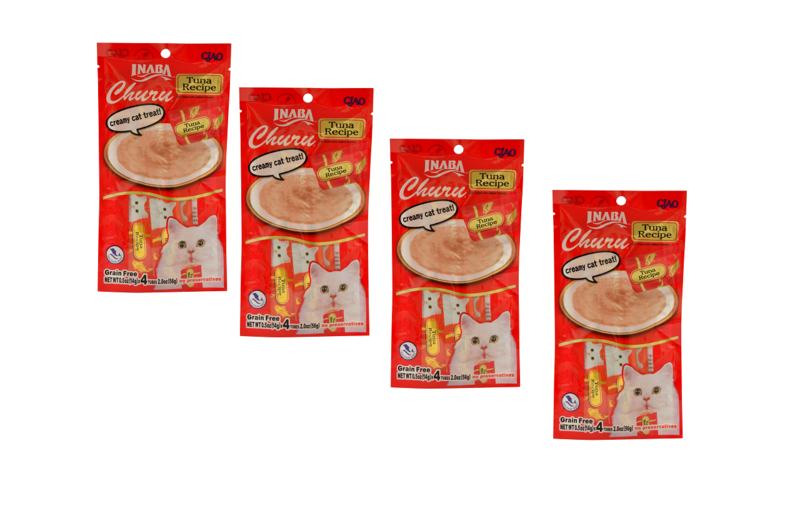 Ciao Churu Cat Treat Creamy Puree (Tuna, 4 tubes/pack) Grain-free creamy cat treat…no chewing necessary! No preservatives or artificial colors. 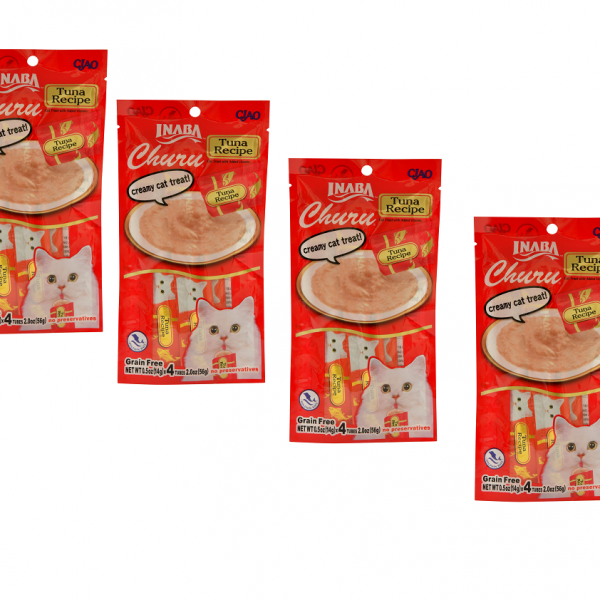 Churu Purées are high in moisture felines need for health. Simply tear open a tube and give it a little squeeze to feed these grain-free, preservative-free treats by hand. You can also pour them into a bowl or use as a tasty topper on wet or dry food. Creamy texture and savory flavor cats love. One package contains 4 tubes. Each tube is 0.5 oz or 14g for a total of 2.0 oz or 56g per package. Feed as a treat only. Not intended to be fed as a meal. Great alternative for administering medicine for cats. Just crush or drop in pills, capsules or liquid medication directly into the puree. INGREDIENTS: Water, Tuna, Tapioca, Natural Flavors, Guar Gum, Natural Tuna Flavor, Fructooligosaccharide, Vitamin E Supplement, Green Tea Extract.